The $100 screw. The $9.00 gallon of fuel. The $5,000 part that costs $50 at a local hardware store. We’ve all seen it. I recall the day a friend told me the seat back for my Pitts S-2B, which is literally a small flat piece of ordinary plywood, cost something like $600. I’m not averse to parts manufacturers turning a profit, but that left my mouth hanging open. My friend? He just shrugged and walked away, as though this was ordinary and normal. The saddest part is that I realized he was right. It is. The classic example of this phenomenon can be seen in the high cost for new products like airplanes. Look at the sharp rise in the price of a new Skyhawk over the past thirty years. The first one was built in 1955, so the research and development costs for this model must have been recouped decades ago. A new Bonanza is a cool million. Low production volumes and high liability costs — a chicken and egg pair if there ever was one — are prime culprits for that inflation. 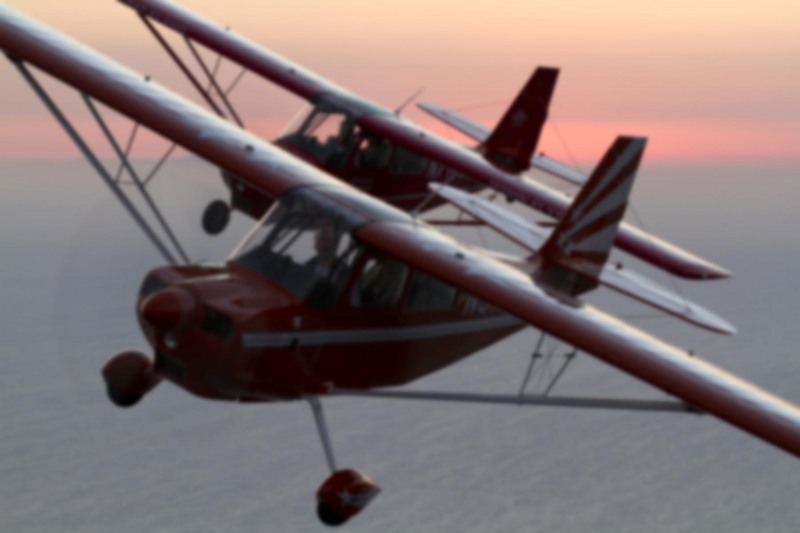 In fact, for about a decade, the general aviation industry essentially stopped producing new piston airplanes. From the mid-80s to the mid-90s, product liability was such that nearly every major OEM exited the business. The insurance costs rose, the manufacturers had no choice but to pass that on to the consumer, who was summarily priced out of the market. Sales fell, per-unit liability costs rose further, and the cycle spiraled downward until even those companies which still had an operating production line were only turning out a handful of airplanes per year. The General Aviation Revitalization Act of 1994 helped somewhat. Aircraft manufacturers started producing planes again. The Cirrus, DiamondStar, Columbia, and other such advanced aircraft were brought to market. New avionics systems were developed. But the liability problem never went away. Frivolous lawsuits still abound, grinding away at our diminished world like a wood chipper consuming a sturdy log. Manufacturers have been sued for things as idiotic as not telling a pilot that the engine wouldn’t operate without fuel. I don’t have to tell you how this lunacy looks to people from other countries, do I? I often wonder, what would an aircraft like the RV-6 cost if it was certified? You can buy one for as little as $45,000 today. Speaking of Amateur-Built aircraft, liability is one of the primary reasons advancements such as electronic ignition proliferate in the E-AB world when they’re almost unheard of in aircraft with a standard airworthiness certificate. Mike Busch has penned many articles about the ways liability concerns drive decisions in the maintenance business. The result? Lower efficiency, higher cost, and at times even a decrease in the level of safety that is supposedly paramount. But it goes beyond that. Many products which would otherwise be brought to market are not because liability issues tilt the scale away from taking that risk in the first place. Even if you don’t own an airplane, you’ve probably noticed that aircraft rental is prohibitively difficult and expensive. Companies like OpenAirplane are trying to make a dent in this formidable problem, but many aircraft types simply cannot be rented at all for solo flight anymore. Seaplanes, aerobatic aircraft, twins, turbines, and many other types might as well not exist unless you have the cash to buy them outright. And those that are still rented require extensive checkouts, form filling, and a large expenditure of time, money and energy. Why? To check every possible box off when it comes to liability. The manager of one FBO here in Southern California told me in no uncertain terms that it wouldn’t matter if Bob Hoover himself walked through the door, he wouldn’t get one iota of consideration in that regard. Does that sound right to you? There’s an obvious answer here. If you’re thinking tort reform, you’re only half-right. Suing manufacturers for accidents that are clearly not their fault simply because the plaintiff knows they’ll settle is only ensuring the next generation won’t be able to fly. The real solution is to — in the words of a pilot I know — put on our big-boy britches and come to terms with the fact that life in general, and aviation in particular, involves risk. From the Doolittle Raiders to the folks at Cirrus Aircraft, history shows over and over again that risk is a part of every successful venture. We’d all love to live in a world where there is no risk, where following the dictates of Title 14 would ensure nothing ever goes wrong and nobody ever gets hurt. It’s a fallacy. Crushing liability costs aren’t limited to carbs. And many parts of our airplanes are manufactured by a very small number of companies. Prop governors come to mind. Vacuum pumps. Brakes. Fasteners. If one firm is having trouble staying in business, odds are the others might be as well. It doesn’t portend a rosy future for the industry, especially when you consider that many of the advances we now enjoy came from small companies just like Precision Airmotive. Sure, with Experimentals you have more freedom to put what you want on your aircraft. But many of the components on experimental aircraft are certified anyway. Most of them essentially have certified engines, props, skins, wiring, brakes, tires, fasteners, etc. This liability issue affects everyone regardless of what it says on the plane’s airworthiness certificate. This sort of thing isn’t limited to aviation. But GA is particularly vulnerable to abuse because of the implication that anyone involved in it must have deep pockets. The end result is a case like this one, where a jury awarded $480 million verdict against an aircraft manufacturer even though the NTSB indicated pilot error was the cause. Liability concerns hurt everyone in aviation, not just those with reciprocating single-engines. I’ll give you one example from the corporate and charter business that I work in: time and time again, thousands of dollars of catering from one of our charter flights will go untouched by the passengers. We’ll land at our destination with a eighty pounds of beautifully packaged and prepared food. Five-star presentation of the highest-quality and healthiest food you’ll see anywhere. At the same time, just beyond the airport fence are people who go to bed hungry. Logic dictates that we might want to put two and two together. But because the operators and customers of these aircraft are high net worth individuals who would certainly find themselves on the receiving end of a lawsuit at the first indication of food poisoning or other malady, load after load of this food goes into the trash every single day all across the country. Over the past three years I’d imagine the total weight of the food from flights I’ve flown that went into the trash would total a couple of tons. While lawsuits and courtrooms have their place, I personally think it’s high time our society acknowledged the fact that safety does not equate an absence of risk. Failure to do so is putting us, our industry, our economy, and even our way of life at risk. That’s the cost of the society we’ve built. Is it worth it? Excellent Observation on the trends. It makes sense that the lower production volumes equal higher liability costs. For example, the $600 plywood seat back costs as much as it does because of the reduced number of these seat backs is Pitts going to sell in a given year. Now they have to pay to mold it, make it and store it until somebody decides to buy one. I think this is how they justify the cost. While I am on board with the big boy britches philosphy and always have been, peoples first reaction was “it wasn’t me” and ” was wronged” Could a side effect of the big boy britches theory be lower quality products being manufactured? It’s sad that we have to pay these ludicris built-in costs to cover their liability premiums, but there could be a solution. It’s possible…. but I doubt it. Products designed for the Experimental-Amateur Built market are not, in my experience, any lower quality than those found with yellow tags, an official looking stamp, and/or a long paperwork trail (think: Ralph’s grocery receipt) behind them. If anything, I’ve found the non-certified products to sometimes be of higher quality. Think about it: in the certified realm, you can only put parts on your airplane that have been through the laborious maze of FAA “approval”, whereas in the non-certified world, the success or failure of a product is going to be due more its quality and usefulness. In other words, the market decides. And as a result, consumers get more choice and lower cost. Another great article…it’s bad enough to see insurance liability costs pricing most of us out of the flying business, however, your point about wanton waste of tons of food for fear of lawsuits makes me the most angry! It bothers me, too. We try to at least give the food to the line guys at the FBO so it doesn’t totally go to waste. But if that’s okay, why not route it to someone in real need? It’s such beautifully packaged and prepared stuff, too. Often these things are delivered on metal platters or china, garnished with fresh flowers, etc. As always, Ron, a very well written piece. Your comment that “I don’t have to tell you how this lunacy looks to people from other countries, do I?” struck a nerve for me and set me to wondering: how did we get here as a society? This litigiousness strikes me as the unholy marriage of (1) a failure to understand that life has risks (“Acme would not have sold a lawn mower to me if it was dangerous in any way”) and (2) a lack of personal responsibility in assessing those risks (“it’s Acme’s fault that I hurt myself using the lawn mower to trim hedges”). Why are we like this? Why won’t people wear their “big boy britches”? I often hear at work: “we will accept zero risk”. To me, there’s no such thing. No black, no white, just a continuum of lighter to darker gray. Is naive belief in a concept like “zero risk” the reason why we feel the need to blame others for our own poor judgement? By the way, my favorite response to a demand for “zero risk” is: “did you drive to work today?” But the point of such a quip is often missed because many don’t view driving as an inherently risky activity. It has become a socially acceptable risk. Aviation does not enjoy such a status. If familiarity diminishes perception of risk, ignorance increases it. Thanks Chris. You ask some poignant questions. I think we got to this point by making life safer and safer, to the point where people expect to go through their lives without any risk whatsoever. I read about a study which compared the average free range for a child. In the 1850s, a kid would wander for miles around their home. By the mid-20th century that was down to less than a half mile. Today it’s the size of a typical yard. We also got here by creating a litigation monster which thrives on spreading the message that “you deserve compensation”. So whenever anything does go wrong, there must be someone to pay, someone to blame, someone or some entity to be swiftly and dramatically punished. Now if there is true and willful negligence — say, a drunk driver doing 90 on the wrong side of the road? That’s one thing. But suing everyone in sight when an aviation accident was, according to the NTSB, the fault of the pilot? In the end that seems to be dragging everyone down. It blows my mind that so many folks seem unable to accept that there is risk in everything. Going to work. Staying home. Working out. Not working out. Breathing. Walking. Getting out of bed. Staying in bed. Eating out. Cooking in.